Options: Digital hour counter, automatic pump, Humistat out dual voltage model. 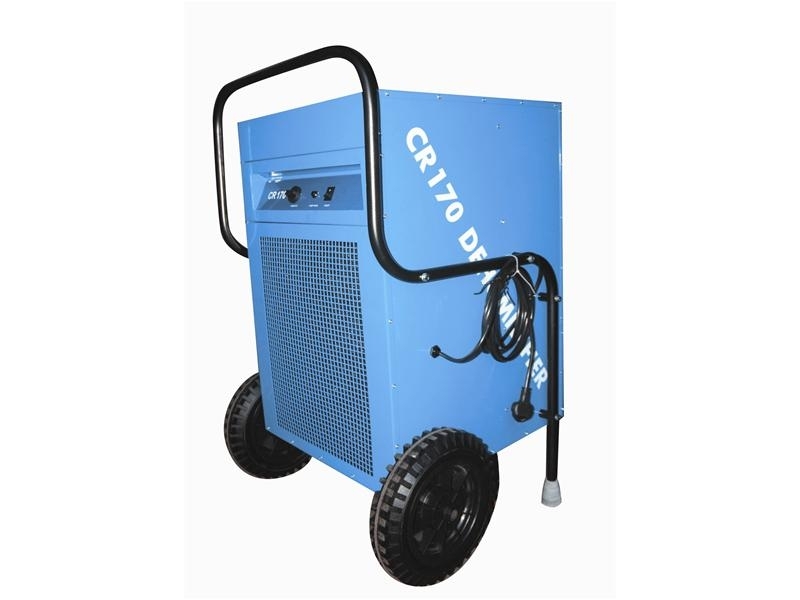 The CR170 dehumidifier from Broughton a British manufacturer, is the largest model in the range. This model will extract up to 170 litres in a 24 hour period. Ideal for application where large water extraction rates are required. 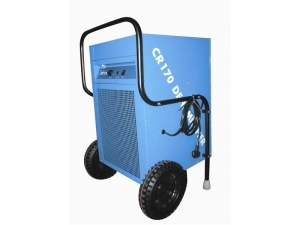 The CR170 model comes with large rubber wheels to make portioning simple. Optional extras include a variable humidistat control, hour counter and internal condensate pump to pump out collected water rather than using a gravity drain.